The four-time Goa Chief Minister Manohar Parrikar, 63 passed away on March 17 after a year long battle with pancreatic cancer. Known for his frugal lifestyle, he was a rare national leader from Goa with cross-cultural appeal. Often described as aam aadmi, Parrikar was renowned for his humble nature. Known as a person of ingenuity, he was recognised across all sections of the BJP. Born on December 13, 1955, he started his political journey as a pracharak for RSS and continued with the Sangh even after graduating from IIT-Bombay. He took oath as chief minister of Goa for the first time on October 24, 2000, which lasted only till February 27, 2002. Parrikar was re-elected on June 5, 2002, and served another term in the state as the chief minister. 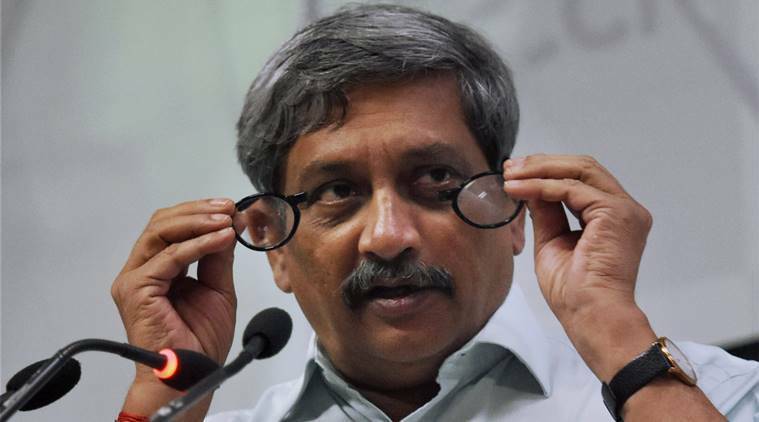 After Modi became prime minister, Parrikar was offered a ministerial berth in the party. He remained in berth till 2017 when his party failed to gather a majority in the assembly polls in Goa. Despite his illness, he continued from his office, mostly operating from his private residence and sometimes making brief public appearances. कांग्रेस के लिए श्रध्दांजलि का मतलब सता है, जो देश के सैनिकों की शहादत पर राजनीति कर सकता है उससे क्या उम्मीद रखते हैं आप मामा जी. Parrikar was the first Indian Institute of Technology alumnus (of IIT, Bombay) to serve as Chief Minister of Goa in 2000. Parrikar is survived by his two sons, Utpal and Abhijat, their respective spouses and a grandson. BJP Posts Bollywood-inspired Tweet About Interim Budget 2019, And Netizens Can’t Stop Making Fun! Are Indians Right To Call Trevor Noah’s Joke On Indo-Pak Tension Insensitive And Offensive? Railway Minister Piyush Goyal Gets Savagely Trolled By Netizens For Posting ‘Doctored’ Video Of Train! PUBG’s Valentine’s Day Surprise Will Make You Wonder If There’s Room For Love On The Battleground?